Meanwhile, Kate Hudson, general secretary of the Campaign for Nuclear Disarmament, expressed overall concerns about the “dangerous new policy” that will be outlined in the NPR, which is expected to released after U.S. President Donald Trump’s State of the Union address at the end of the month. 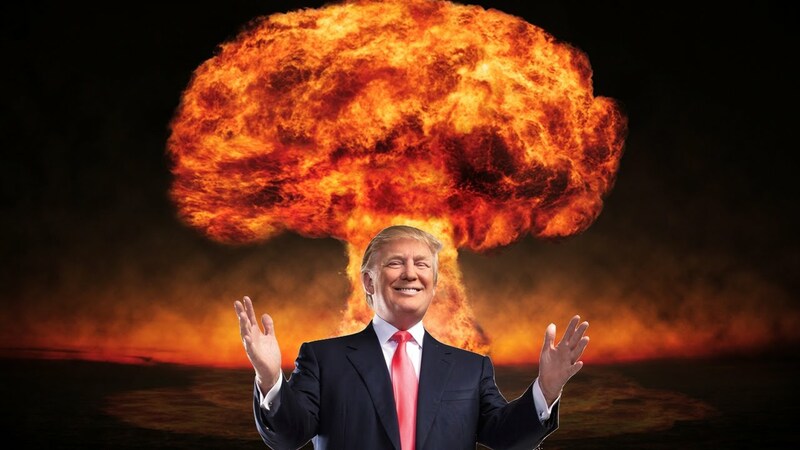 During Trump’s first year in office, he has made several nuclear threats directed primarily at North Korean leader Kim Jong Un, whose nation’s developing nuclear weapons program has heightened nuclear tensions worldwide. While Trump’s tweets and statements about North Korea and nuclear war have garnered widespread condemnation, some critics, such as legal expert and peace advocate Marjorie Cohn, argue it is actually grounds to remove him from office. Pointing to a recent public spat between Trump and Kim, who argued over the New Year about whose “nuclear button” is “bigger,” Cohn wrote that Trump’s tweet in the exchange “violates several laws.” Cohn outlined those violations and highlighted comments from legal and nuclear experts who were alarmed by the latest hostile remarks by the leaders of two nations armed with nuclear weapons. This entry was posted in Economics, Government, International Agreements, Military, Technology, War, World War III and tagged Atrocities, Campaign for Nuclear Disarmament, Donald Trump, Economics, International Agreements, Kim Jong Un, Military, military-industrial complex, National Security Strategy, North Korea, nuclear arms, Nuclear Posture Review, nuclear war, Russia, technology, War, World War III on January 11, 2018 by MNgranny.